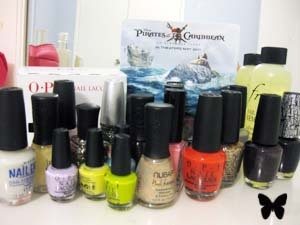 Nubar's 2010 Anniversay nail polish. 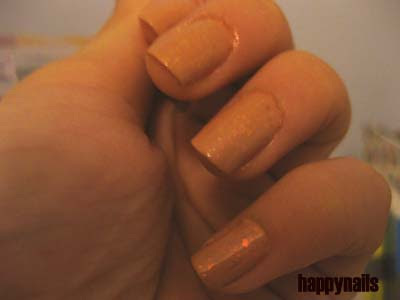 This is my favourite gliter nail polish. Irregular, large glitter, just beautiful! It goes really well with dark redish colour, but I'm trying it on dark pink today.